Strong was very over in L.A with lots of 'PWG' chants for most of his match. Jose almost pulled the win with an F4, but Strong (who looked crisp the whole match) finished Jose with a flying boot to the face. M62 rolled-up Alexander Wolfe after a dropkick from T61 which gave them the victory. After the match, Nikki Cross slapped Wolfe who seemed to enjoy it. For most of the match, Daria gave Mandy MMA punches and kicks. Daria won with pop-up spine buster. This was an entire match based on crowd reactions: Dillinger is a "10"; Murphy is a "zero." Dillinger won in a nothing match. Asuka gave Billie Kay a stinkface, which got a huge pop, followed by a Rikishi chant. "Asuka's gonna kill you" was basically the whole match. Ember looked fantastic ad her stunner from the top on Peyton was absolutely vicious. It looked like she killed Peyton. The win came via Asuka submitting Billie with a rear-naked choke. Lots of fans chanting "D'Lo Brown" for Akam of AOP. The fans loved DIY. The two best spots were when Gargano did a dive and was caught by the two AOP members outside, and then as Ciampa was running to do a dive, they threw Gargano into Ciampa's head. The other was when Rezar of AOP did a double samoan drop with both members of DIY on his back. Paul Ellering was more involved and seemed more like a third member tonight. The finish was DIY doing their double finisher on one of the AOP members, followed by a referee distraction by Ellering. The Revival came out from the bottom of the ring, knocking out Gargano while Ciampa got the AOP leg-sweep-clothesline finisher. 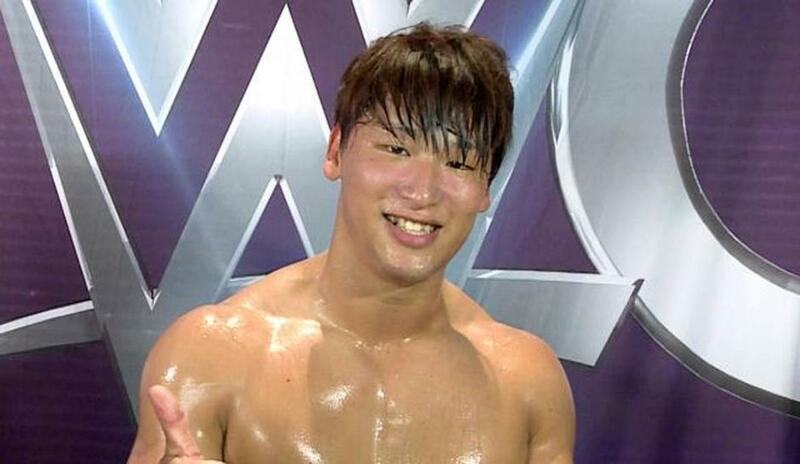 Roode's entrance was very over and Ibushi wrestled like a god. His missile dropkick was sharp, his standing shooting star was marvelous and his moonsault from the corner was perfection. They got about 20 minutes in a well-paced match. There were "fight forever" chants after Roode kicked out of Ibushi's Last Ride. The finish was Ibushi missing a top rope corkscrew moonsault, Roode delivering his modified DDT almost like a brainbuster. Young's Mad Max-esque ring gear looks a lot like Tatanka's and he did a great job of selling the idea that he was the crazy person in the ring with lots of torture-style wrestling moves. Lots of TNA chants the few times we got to see Joe and Young together in the ring alone as most of the night was Joe vs Nakamura with Young getting thrown outside. Standard three-way but seeing Nakamura German Joe was pretty spectacular. Young also delivered one of the better top rope elbow drops you'll see. Young was outside when Nakamura gave Joe the Kinshasa for the pin. He then cut a promo: "You guys great audience," followed by: "Yeah, yeah, yeahhhhh," and he did his bowing pose in the middle of the ring. Josh Barnett was in the crowd.